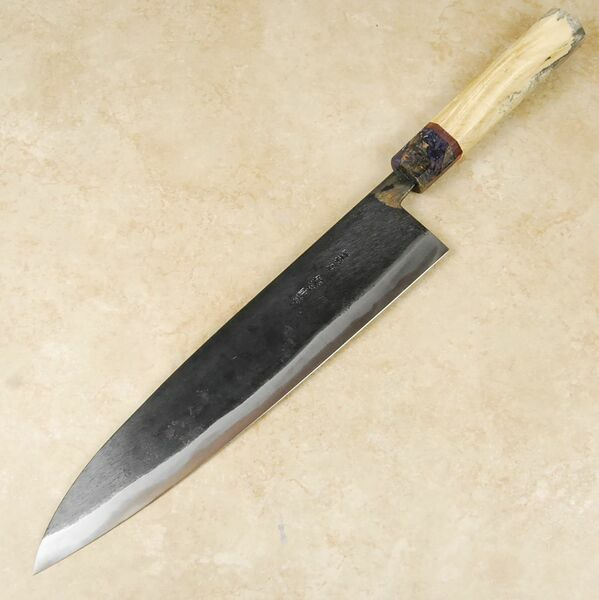 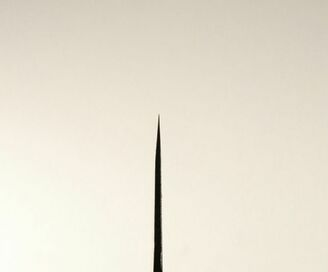 This 270mm Gyuto AS is asymmetrically ground blade. 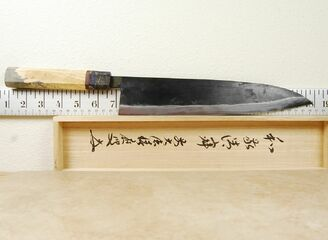 This style of blade is perfect general use and is a large knife for those of you who are professionals and do a lot of prep work. The steel is hard and the edges are steep so it cuts fantastically well but a little care needs to be taken to stay away from hard items such as bones and frozen foods. 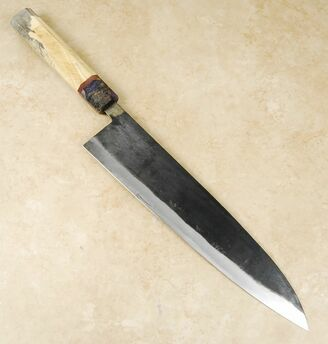 This blade is mated to a beautiful custom handle made by our woodworker, Isaiah Schroeder.